Do you take your phone out and about? Hiking, swimming or out for a run. 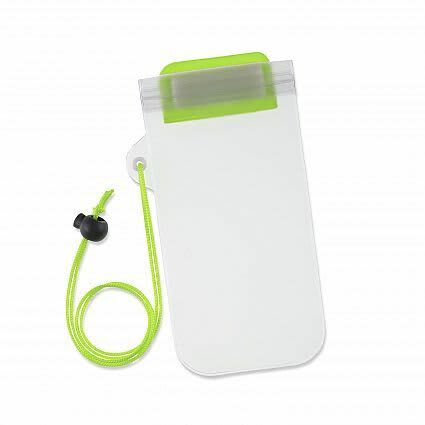 Keep you phone safe with this waterproof phone pouch which will hold most phones. You can check your emails or social media by the pool without worrying. 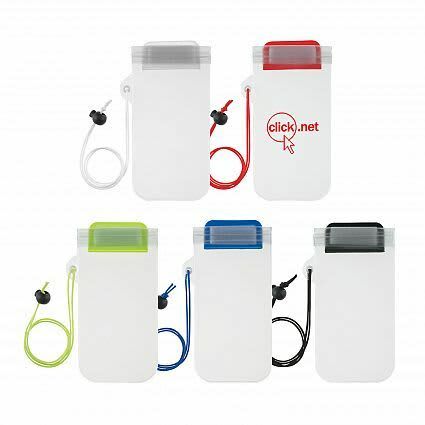 It has an adjustable neck cord and a zip lock and Velcro sealing system. W 95mm x H 229mm. Screen Print 50mm x 101mm (one colour).